The Minnesota greyness has settled in for November. 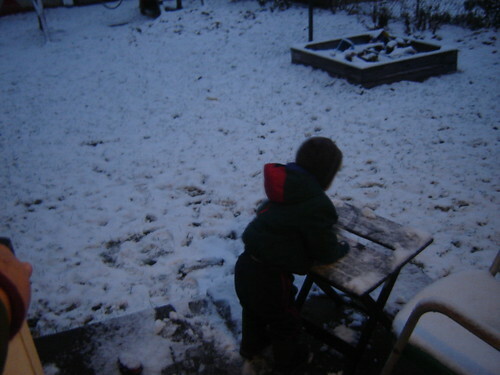 We awoke to snow yesterday. The sun wasn’t even up all the way and the boys were bundled up and outside. Today we have rain, wet leaves, and more grey. The greyness really doesn’t get to me until late in the winter when I really start craving sunny days and spring flowers. Until then I enjoy it. The grey feels cozy and warm, perfect for tea and sweaters. 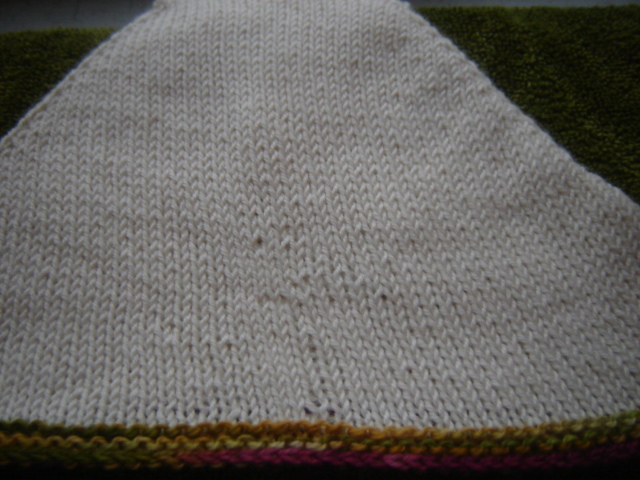 It does make it hard to take a good knitting picture. 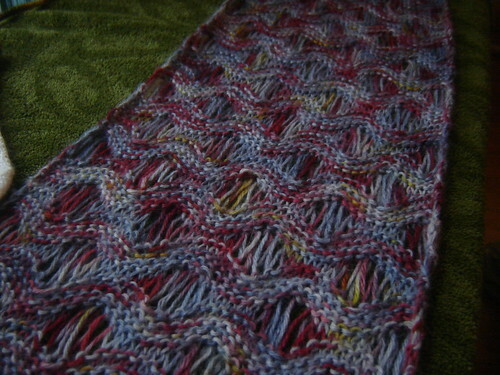 More blocking, with the close up of the area that Knittykid ripped out, I picked up and hoped it would block out evenly. It’s not. Oh, how I do not miss Minnesota winters. We’ve been in NC for 2+ years now and a nice short winter is just fine with me. Hang in there! It’s about this time that Alaska grayness sets in too. Actually it was about a month ago but we’re starting to notice the dark going in to work and coming out of work/school. It’s a might depressing, but the gray is so knit inspiring! All you need is a warm beagle* and a good holiday movie and a knitting project and the gray is suddenly gone! *Any warm blooded critter that is friendly and loving will work. My case happens to be beagle. Hee. We had chili and cornbread for supper tonight! We are right with you on all the gray, but we haven’t had snow that sticks to the ground yet. 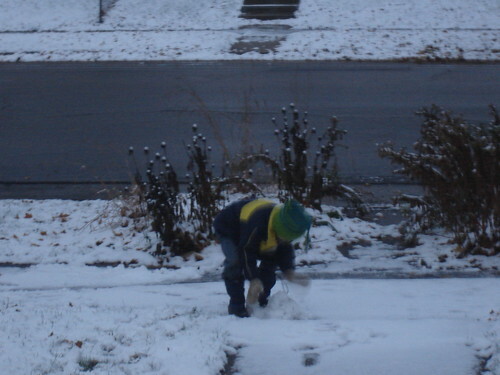 The kids can’t wait and feel completely gypped that it snows without the ground getting covered! You definitely got more snow than Uptown! Aaah, if only I could get ALL of my boys to eat Chili & Cornbread. I REALLY like that scarf! Which pattern did you use? I’m swinging by The Yarnery tomorrow and that might be just the thing to get. I’m glad you mentioned the cornbread. That might go well with left over potato and bean soup! I found the pattern on Ravelry. It’s available for free. Hurray! I think I’ll add this to my list. Oh that yarn is to die for. I just found your blog!